Experts have recommended that police should focus on landlords, not problem tenants, in developing crime prevention strategies. With police resources straining under a barrage of service calls, police in Ohio were forced to analyze the deeper cause and effect of calls – as well as possible solutions to reduce crime in their neighborhoods. Researchers from nearby University of Cincinnati examined records of calls for police service from apartment complexes, rental units, extended-stay hotels/motels and shopping centers in several Ohio communities in order to identify geographic areas most in need of assistance and suggest programs to reduce call volume. For instance, in Middletown, Ohio, the researchers initially analyzed police calls for service to determine whether residents in Section 8 housing required a disproportionate amount of police resources. In studying service calls over one year’s time, the UC analysis found that a handful of all rental properties were skewing demand. They found that over half the calls for service were occurring at just 10 percent of properties. These properties were owned by landlords who rented to both Section 8 and non-Section 8 tenants. “Several owners had high numbers of properties with Section 8 tenants and with crime, but we found that these owners also had high crime properties without Section 8 tenants. This suggested that the property owners themselves might have created or allowed environments where offenders felt comfortable committing crime,” explains researcher Kathleen Gallagher, UC doctoral student in criminal justice. Problem landlords seemed to be the root of the problem, not whether residents were using Section 8 housing vouchers. The research group determined that concentrating on the owners of properties could have a greater impact on decreasing crime and nuisance rather than targeting renters. The recommendation to the small city police department: focus on the owners of properties with the highest number of service calls. 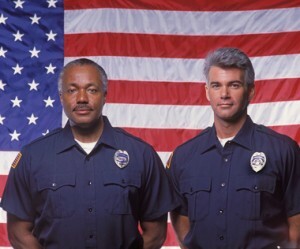 The findings and the recommendation that police educate and focus resources on those landlords owning the properties generating the highest volume of calls were shared last month with law enforcement experts attending the American Society of Criminology Meeting in Washington, D.C.
Should local governments accept the recommendations, landlords may experience more police interactions, and a possible uptick in local ordinances and fines against them if their tenants commit crimes. Conduct a tenant background check that includes a criminal background check every time you rent a property. Be sure to screen each adult occupant. Often those with a criminal background have difficulty renting in their own name, so they move in with someone else. Include a strict guest policy in your lease agreement that holds tenants accountable for actions of their guests and limits long-term guests. Make sure you have the right to evict a tenant is they–or they guests, commit crimes or are arrested for crimes. Avoid language requiring a conviction before you can evict. Also, require any new occupants to undergo a tenant background check that includes a criminal background check. Perform frequent property inspections to catch criminal behavior as soon as possible. Look for unauthorized guests, and changes in tenant behavior, like tenants who don’t appear to be working or have unexplained absences, and increased traffic to the property. Listen to other tenants’ complaints when they have concerns about crime on the property. Consider participating in a Crime Free Multi-Housing Program training, available from local police. Why dont we target car dealers that sell cars to people that drink and drive too? If they target the landlords, the criminals will still need a place to live! They will move, still commit crimes…only somewhere else… WAY TO GO GOVERNMENT!!!! YEA! !